What’s So Great About The iPhone X? 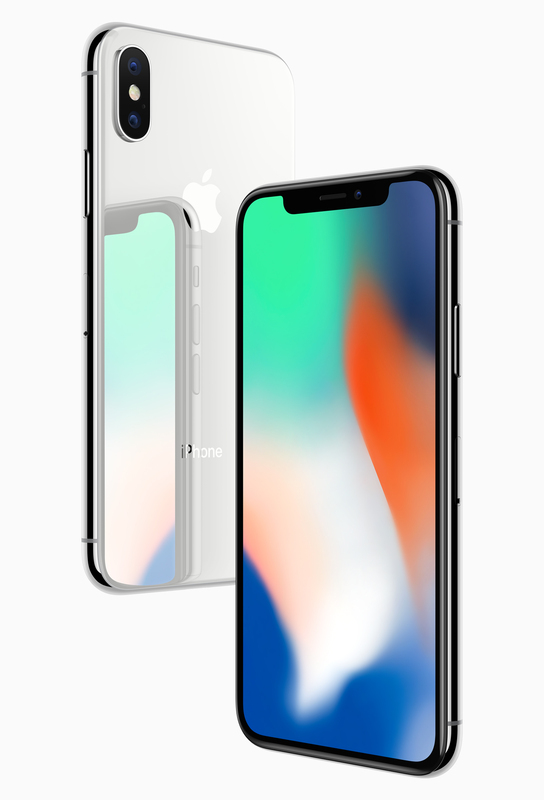 Our smart phone man on the ground, PAT PILCHER, takes a look at the keenly anticipated iPhone X.
Apple have finally launched the iPhone X, ending months of speculation. The big question is this: is the iPhone X a big enough leap to expand Apple’s reach beyond the i-Faithful? Looks-wise, the iPhone is a confusing mix of creative design and unoriginality. The rear of the iPhone X is glass but looks a lot like the iPhone 7. Sitting the iPhone X face down, many i-Fans would still have a good chance of mistaking it for the iPhone 7. Spinning the iPhone X around reveals one of Apple’s biggest recent design evolutions. 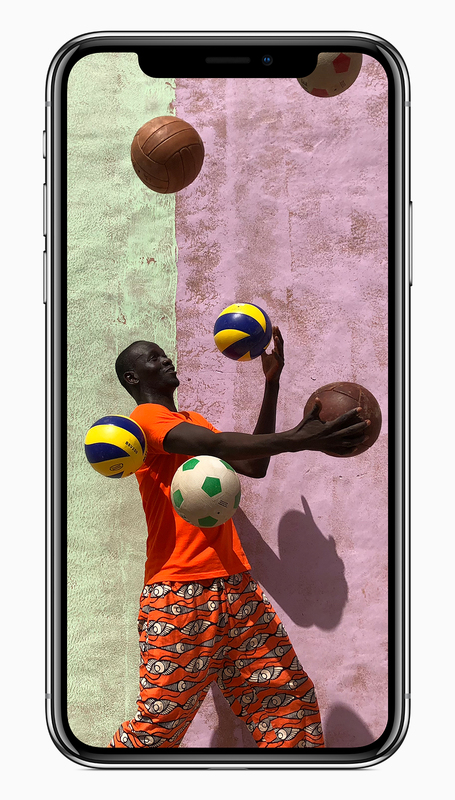 The iPhone X sports what Apple call an all-screen design. Both the top and bottom bezels plus the home button are all but gone. Apple have avoided calling the iPhone X’s screen an edgeless design. This is a good thing as the side bezels are still visible. That aside, the effect is striking. Similar designs already exist thanks to vendors such as Xiaomi and Samsung. Exciting? Yes. Original? No. 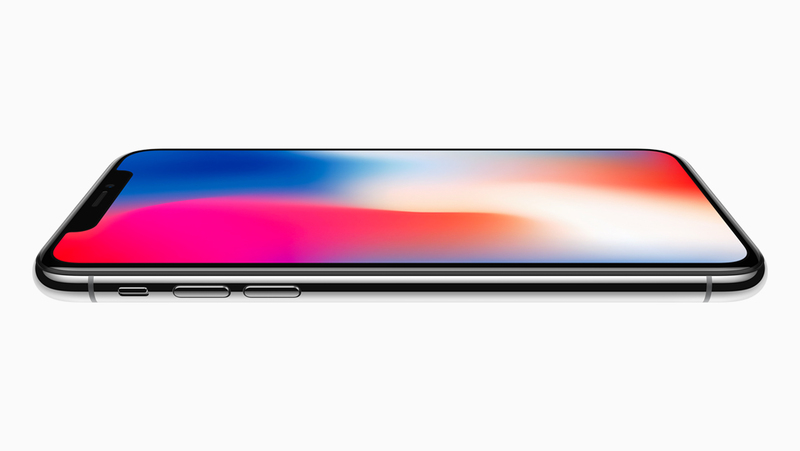 The body of the iPhone X is hewn out of glass with a stainless-steel edge band. This means that wireless charging finally makes it over to the Apple camp. A case will be a must as the iPhone X isn’t likely to pass any involuntary drop tests. 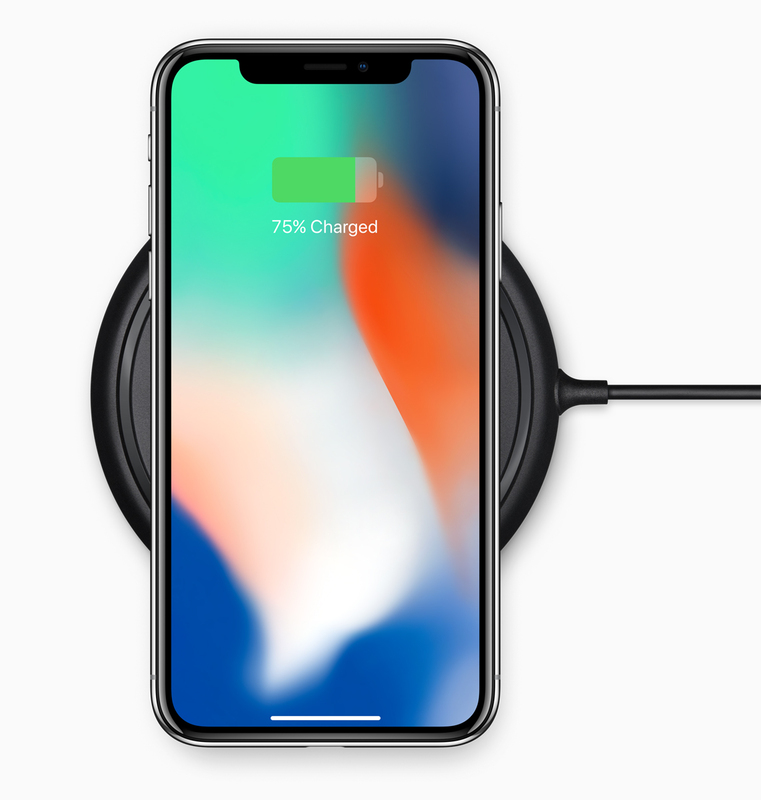 The wireless charging system appears to be an Apple variation of the Qi standard. Apple have branded this “AirPower”. Specifics on what it delivers have yet to surface. It will charge several i-devices. Apple won’t be launching wireless chargers until 2018. Again, exciting but not all that original. The screen may be one of the iPhone X’s biggest selling points. Apple have finally made the move to AMOLED. This translates into vivid bright colours and an almost infinite level of contrast. 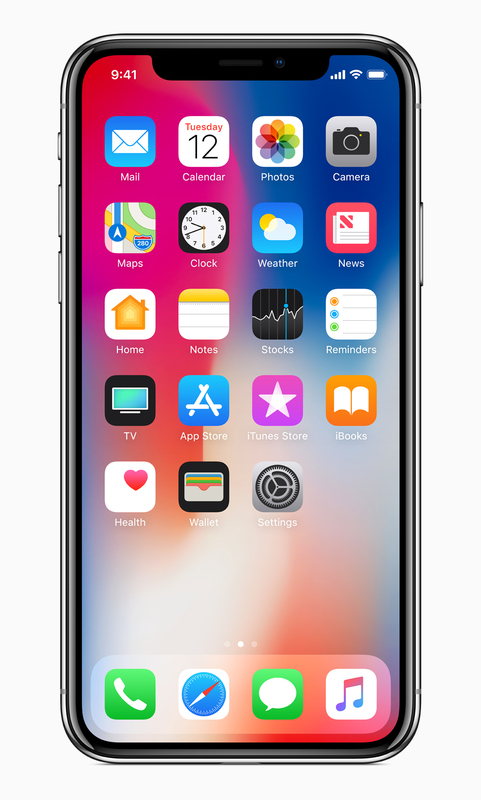 Apple’s marketing hype declares that the iPhone X has, “The first OLED screen that rises to the standards of iPhone”. Is it me or is this Apple arrogance? The screen improves the iPhone rather than the other way around. Either way, the all-screen design is striking. But AMOLED has been in Android smartphones for years. So again, it is a case of exciting but not original. Under the hood sits some new silicon. Apple have re-worked their A series CPU into a new 6 core big/little variant. It consists of 4 energy efficient lower performance cores and 2 high performance but more energy hungry cores. All told, the iPhone X looks set to be a very zippy customer indeed. 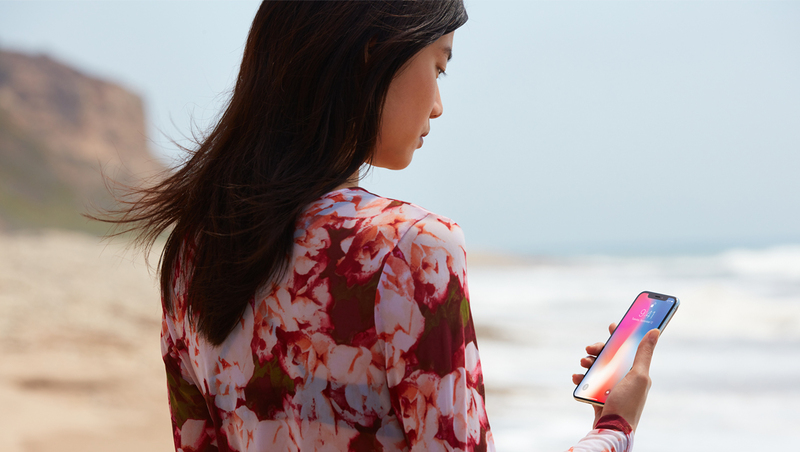 A key selling point with the iPhone X is its new facial recognition system that Apple have branded Face ID. A cut-out atop of the iPhone X’s screen houses cameras and other sensors that’ll allow the iPhone X to map a user’s face. In practice, this should see unlocking the iPhone X being as easy as holding it up to your mug. Face ID can also authorise Apple Pay and animate emoticons. Machine learning will also allow the iPhone X to adapt to changes in your look (haircuts, facial hair, etc). Facial recognition isn’t anything new. Apple have, however, refined it so that it uses depth sensing to map the user’s face. In theory, this means that photos won’t fool facial recognition capabilities. Face ID might not be original, but it is useful and importantly, more secure than comparable options from other phone makers. The iPhone X comes in just two colours (neither of which is pink, thank goodness). These are black (Space Grey in Apple parlance) and Silver. Buyers will have the option of either 64GB or 256GB of storage. MicroSD cards are still not supported. Apple have kept the lightning port and in what may be a deal breaker for some, there’s no 3.5mm socket. Apple don’t list battery specs but do say the iPhone X will last hours longer than the iPhone 7. The iPhone X represents a much-needed refresh over the dated design language of the iPhone 6 and 7. The not so good news is that it doesn’t have much that is new to the smartphone category beyond its face recognition capabilities. The iPhone X isn’t likely to appeal to buyers on a budget, as its base model commands a whopping $1799 price tag. This might not be a barrier to the i-Faithful, but it may preclude other buyers who can get more bang per buck value elsewhere.